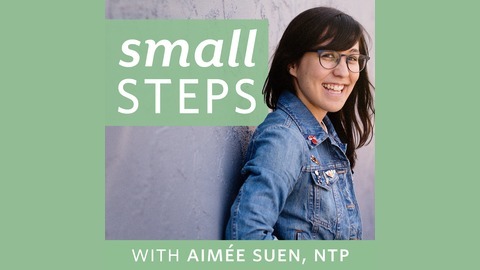 Aimée Suen, Nutritional Therapy Practitioner and food blogger from Small Eats is here to educate, inspire and empower you to grow, try new things, and live a life you fully feel good about, one small step at a time. Through interviews and solo shows, she talks about all aspects of health and wellness, from nutrition, movement, mindset, mental health, spirituality, body image, and so much more. 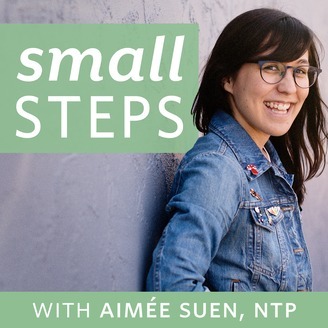 Each show has small steps that you can try and see how they work for you, whether you’re new to the topic or have already started trying it in your life. You can do it, one small step at a time. Consider writing it out/sharing a larger commitment with other people and checking in with yourself often to make sure you’re giving yourself the rest you need.